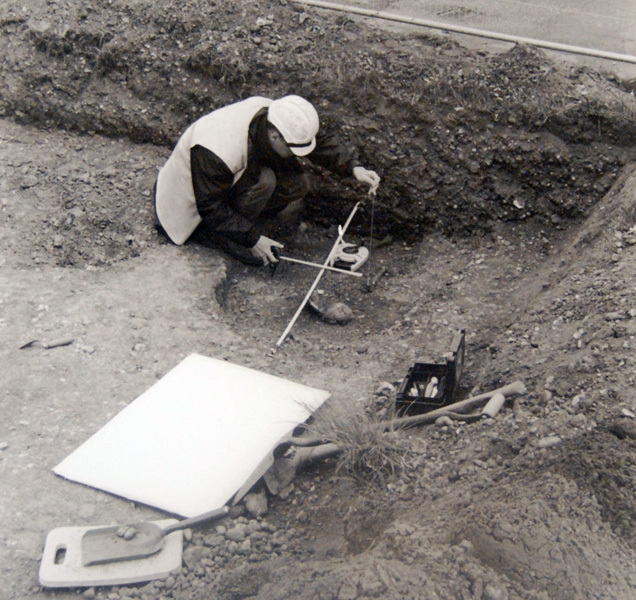 Rescue archaeological excavation of the Temple Hill Site recovered Iron Age, Roman and Anglo-Saxon artifacts. Heartfelt thanks to the Maidstone Museum (Maidstone, England) for allowing permission to study the artifacts from Temple Hill and the preliminary report. 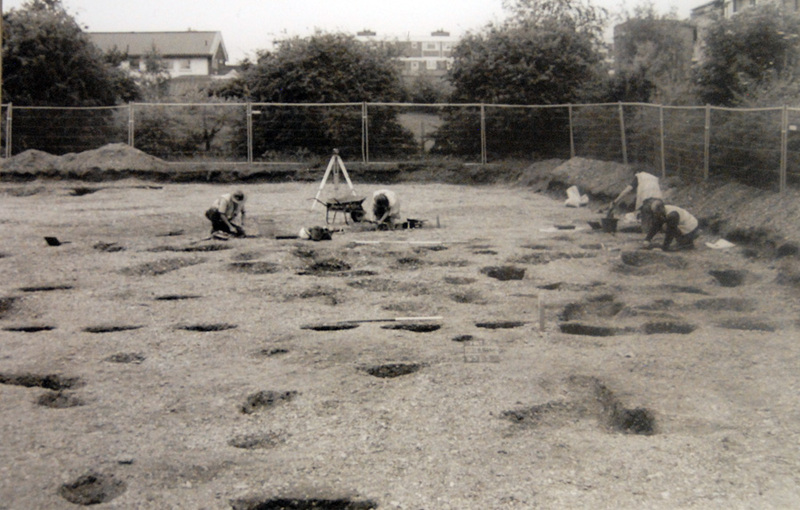 Temple Hill during excavation (from preliminary report). 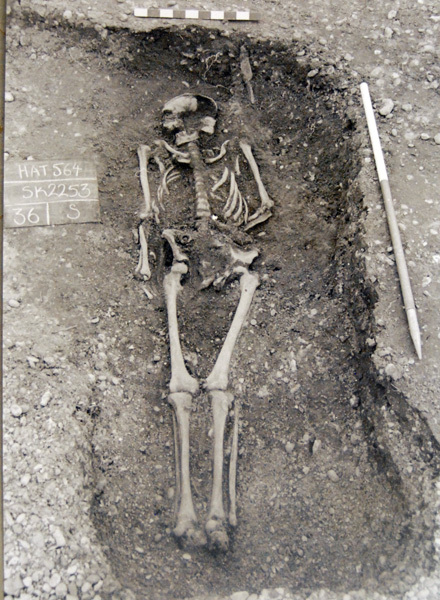 Recording a burial at Temple Hill (from preliminary report). 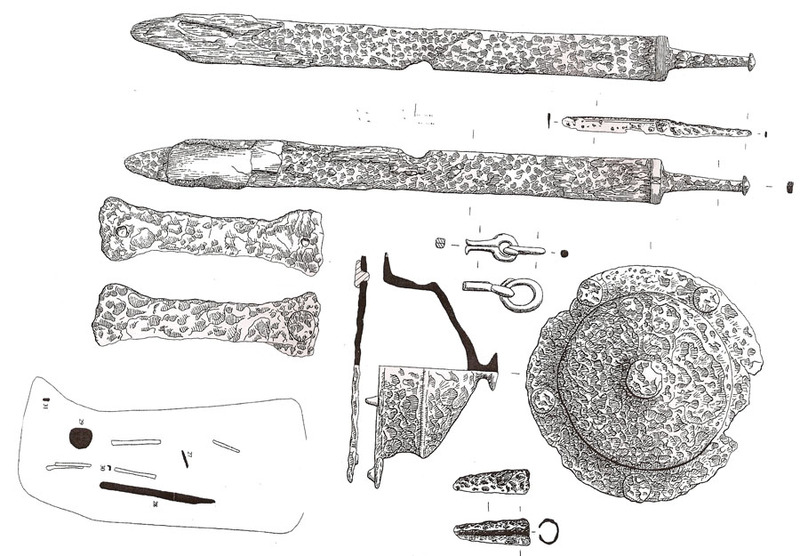 Male burial (2252) with grave offerings including an iron spearhead. 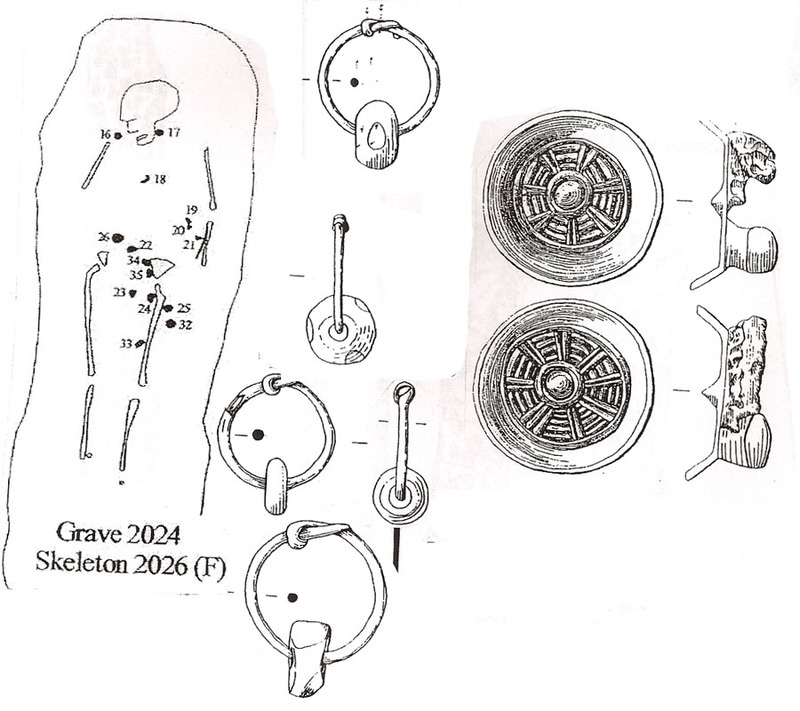 Grave offerings with burial 2252. 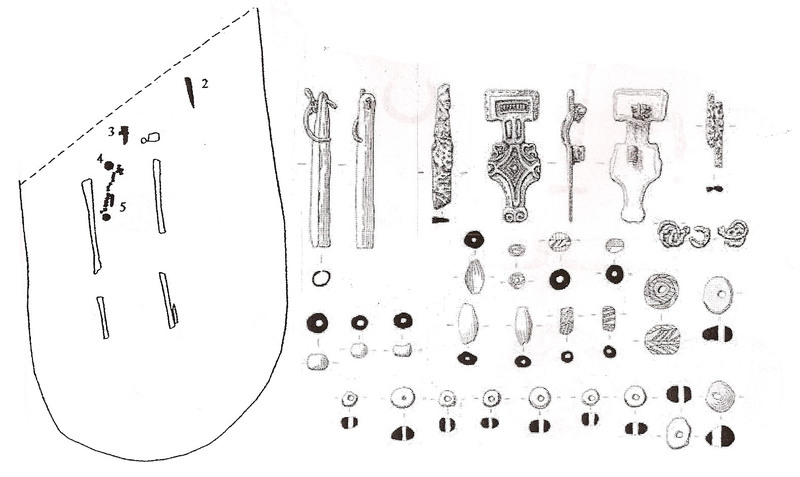 Iron spearhead associated with burial 2252. 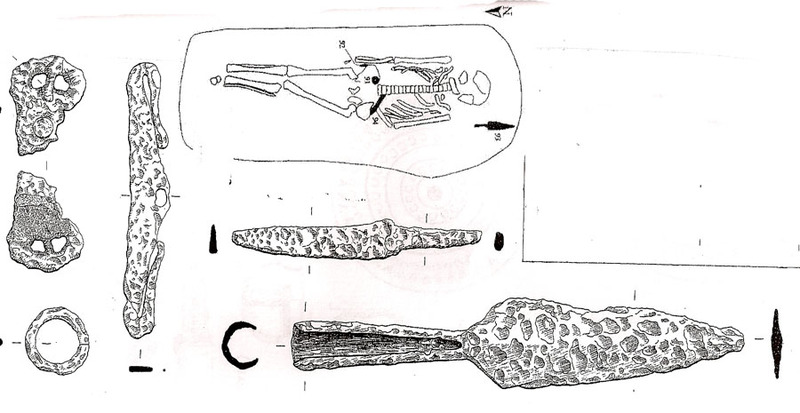 Iron knife associated with burial 2252. 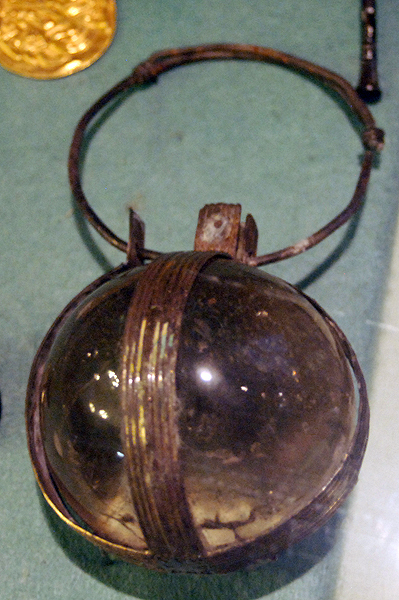 Iron purse mount associated with burial 2252. 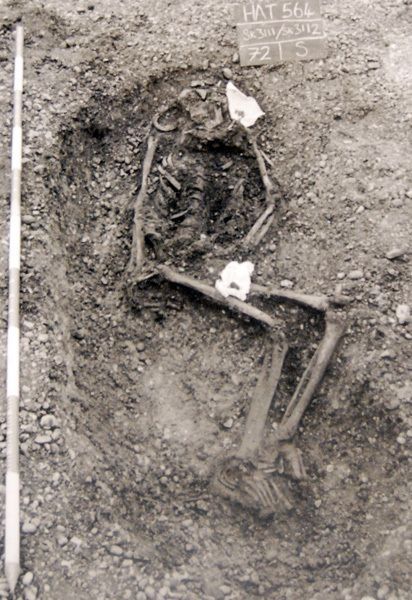 Female (3111) with grave offerings and infant burial (3112). 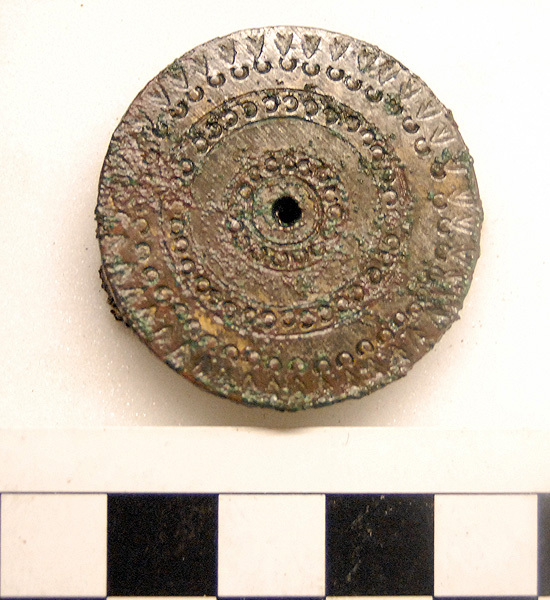 Stamped decorated brooch from Burial 2016 grave offerings. 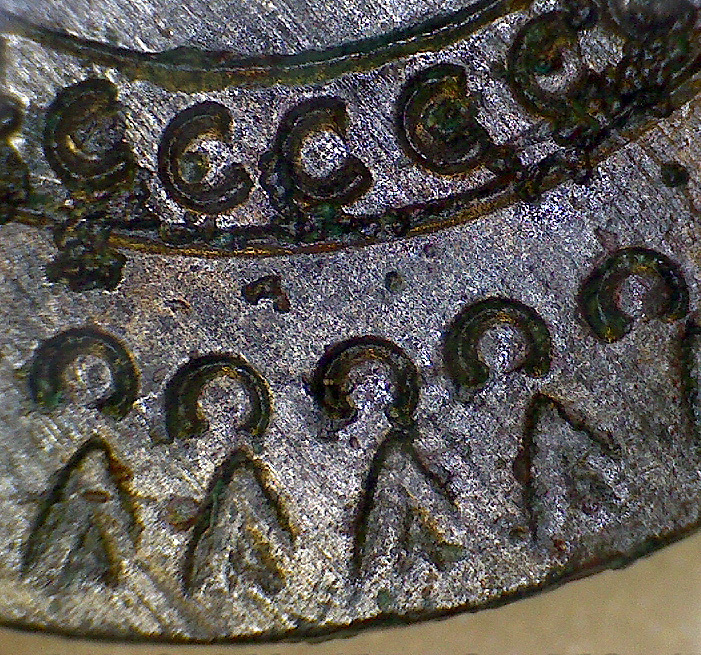 Detail of stamped decorated brooch from Burial 2016 grave offerings. 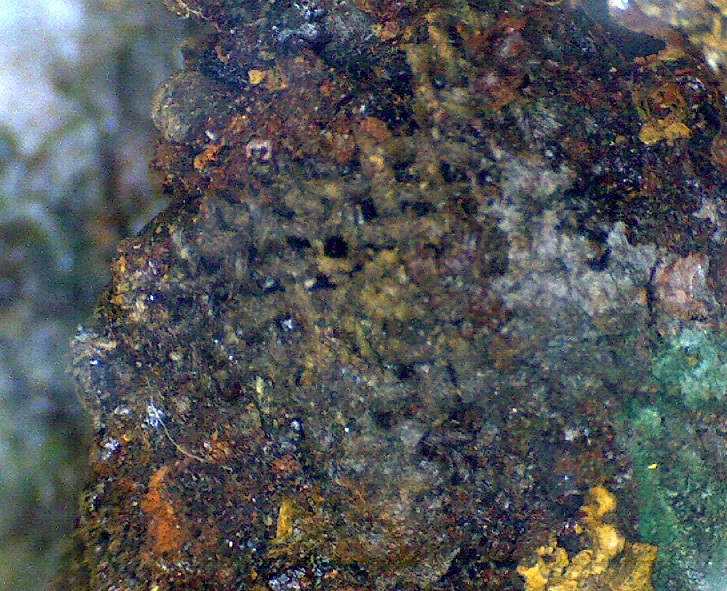 Mineralized textile on the back of the brooch from Burial 2016 at Temple Hill. 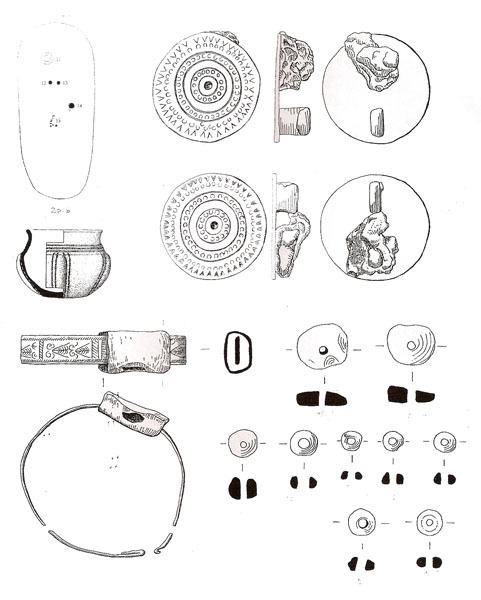 Sword, shield boss and grave offerings with burial 2027, male. Grave offerings with burial 2008, female. 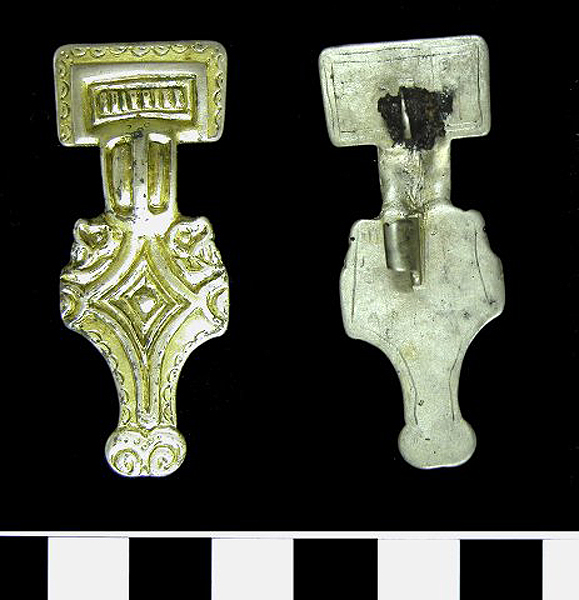 Gilt silver brooch with burial 2008, female. 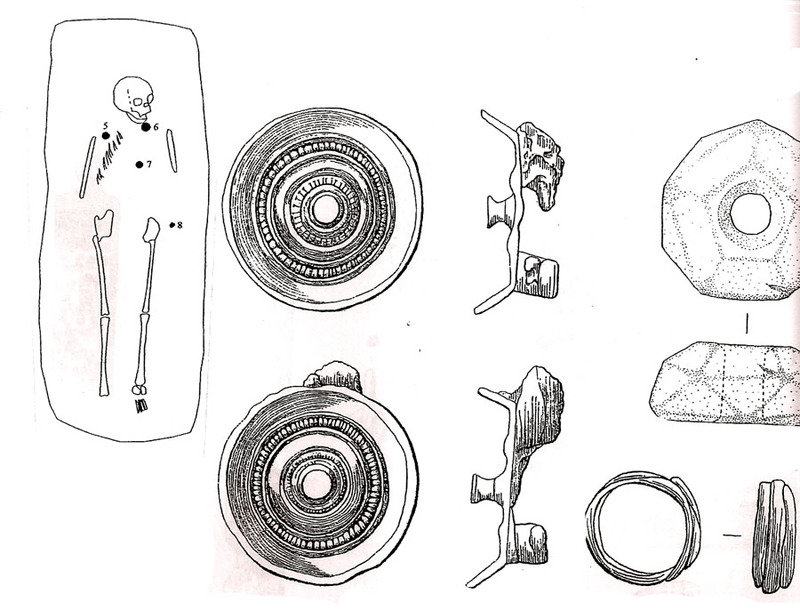 Grave offerings with burial 2024, female. 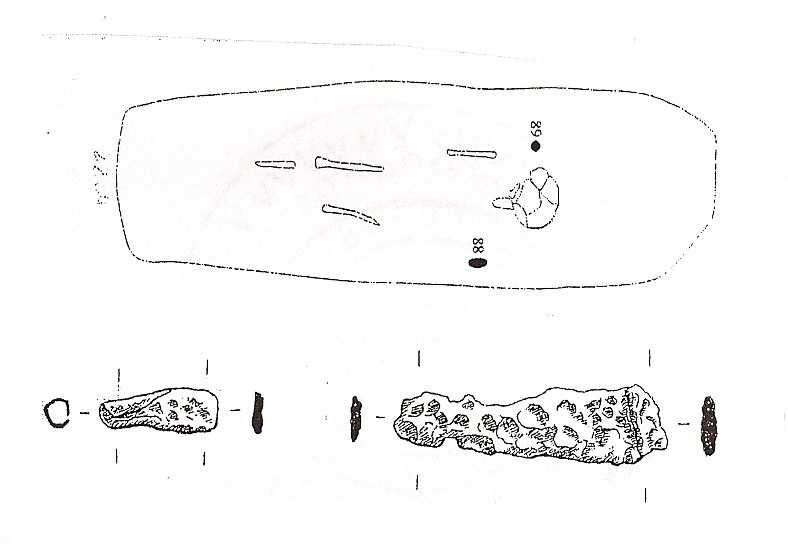 Burial 2018 with iron purse mount and knife blade, male. 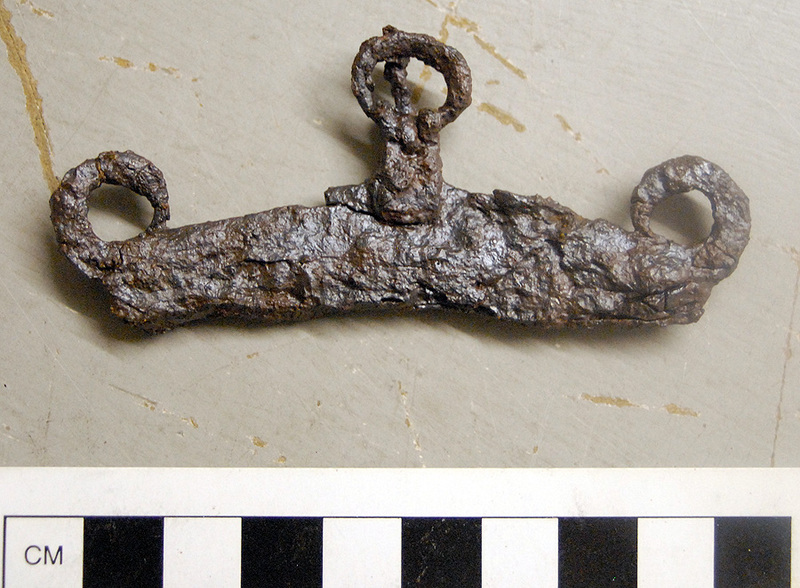 Iron purse mount found with burial 2018, male. 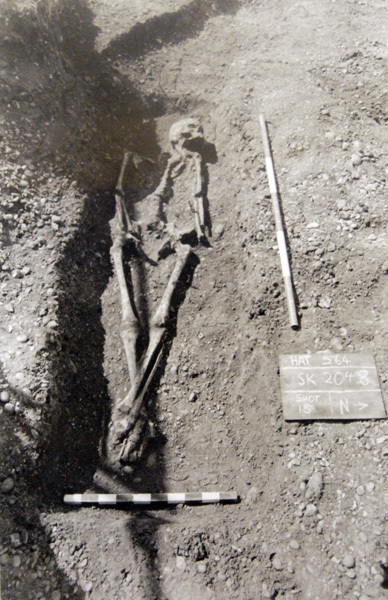 Burial 2561 with weapons and Late Roman coin, male. 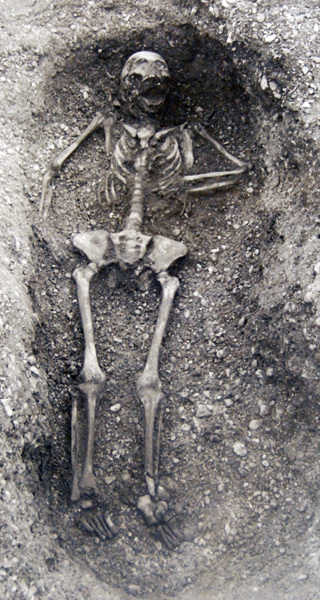 Burial of an archer with one arrowhead and a knife, male. 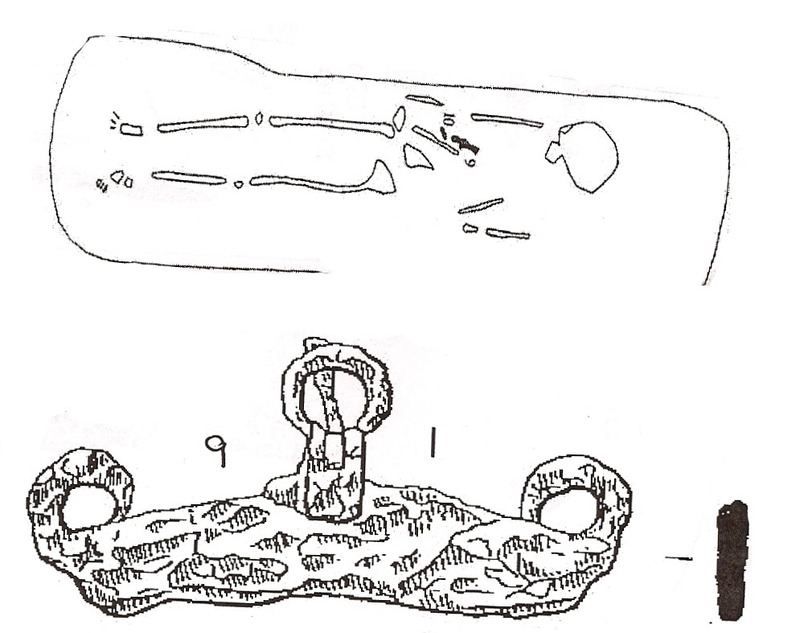 Burial 4082 with gilded brooches and caged crystal, female. 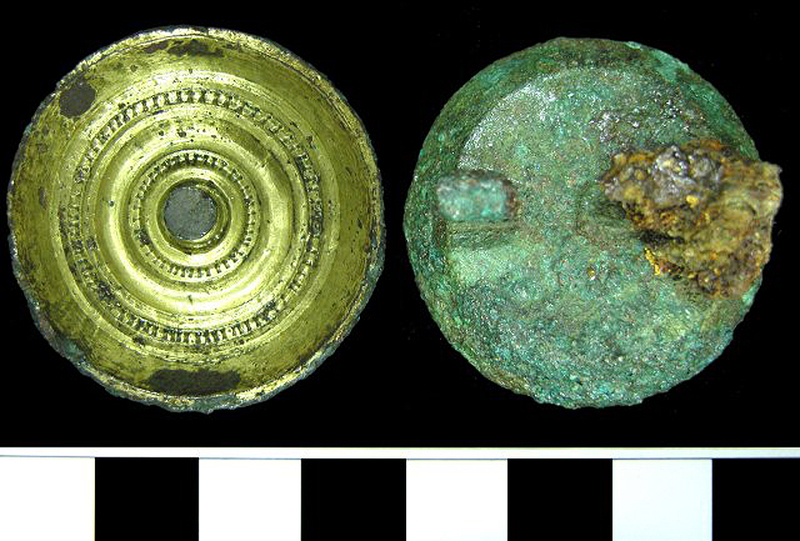 Gilded silver brooch grave offering with burial 4082. 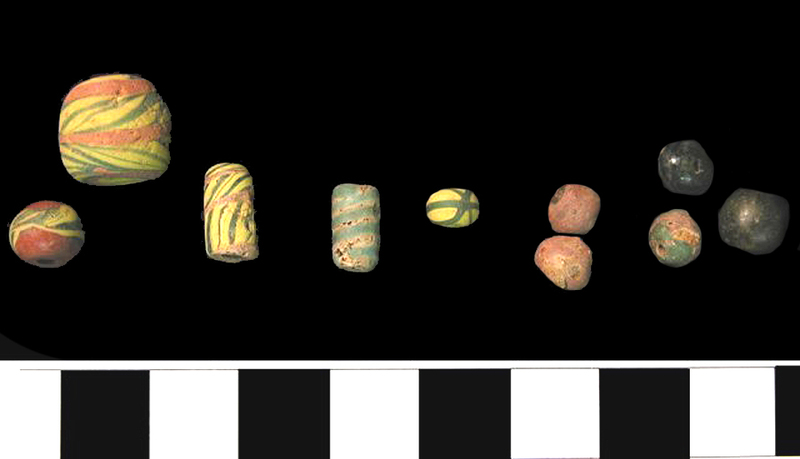 Glass beads found with burial 4082. Caged quartz crystal "similar" to one found with burial 4082.